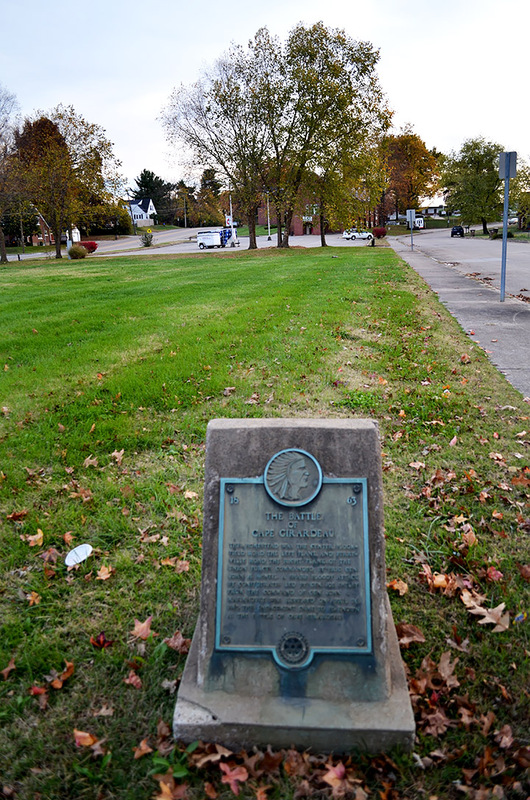 Number of times I saw this historical marker at that intersection = once, about a week ago. This homestead was the center, Bloomfield Road the left flank, and Perryville Road the right flank, of the Union forces commanded by Brig. Gen. John H. McNeil. A sharp, bloody attack by Confederates led by Gen. Joe Shelby from the command of Gen. John S. Marmaduke was repulsed on April 26, 1863. This engagement came to be known as The Battle of Cape Girardeau. 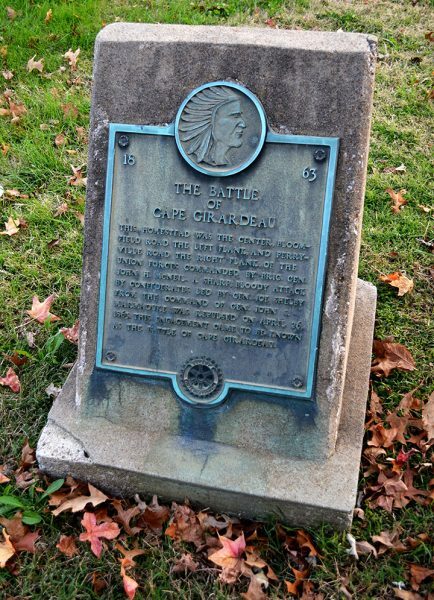 Here are some posts I’ve done about the Civil War in the Southeast Missouri area. Here is my blog from 2011 about the old Haas house that was in the line of fire during the Battle of Cape Girardeau. Lots of comments, including some from Ken.